The Cherub's Cup is truly a cocktail of angelic proportion and can very easily become a new favorite for just about anyone. This drink is both sweet and dry, with a tinge of flavors that are both intriguing and refreshing and it is ideal for any romantic celebration. The use of St. Germain is a must in the drink, and while the options for the other spirit are nice to plant the seed of customization, I would have to suggest going with Hendrick's Gin. The cucumber and rose of this particular gin is oh-so delightful with the elderflower and strawberry and an ideal match for the dry sparkling wine. 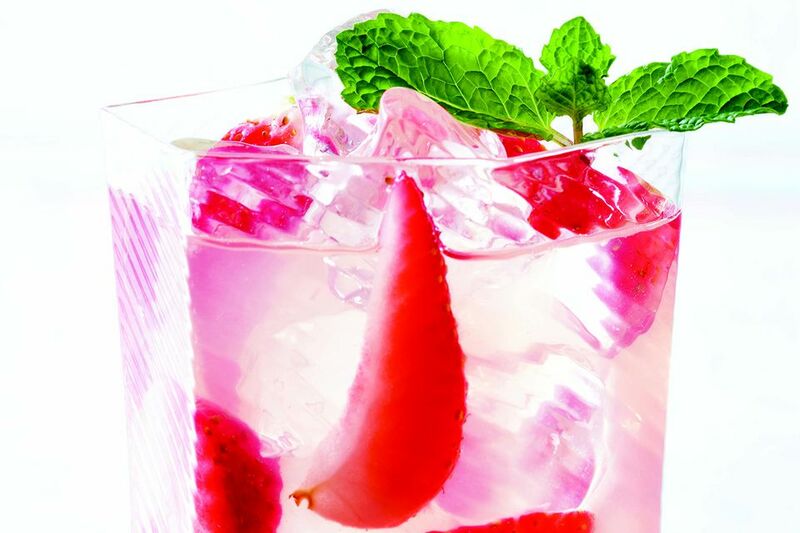 Muddle the strawberry, simple syrup, and lemon juice in a cocktail shaker. Add ice, vodka or gin, and shake well. Strain over fresh ice in a collins glass. Top with Brut Rosé or Brut Champagne.